Former Nissan Motor Co. Chairman Carlos Ghosn’s incognito emergence Wednesday from a Tokyo jail launched a barrage of speculation and amusement from the media and the public over his motive for donning a cap, surgical mask and construction worker outfit upon his release. On Friday, the confused Japanese public got an answer. Takashi Takano, one of Ghosn’s attorneys, confessed in a blog post that it was his idea to protect Ghosn’s well-being, but it failed. 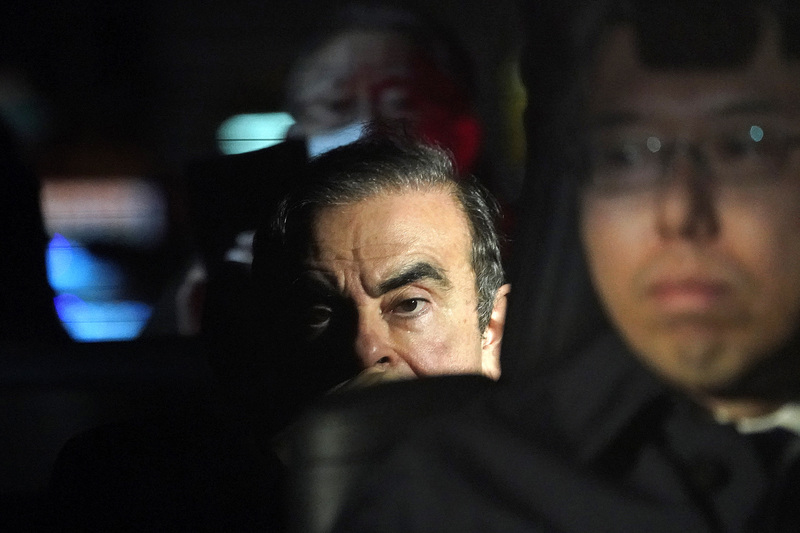 Ghosn, who turns 65 on Saturday, was released on bail after 108 days of detention. 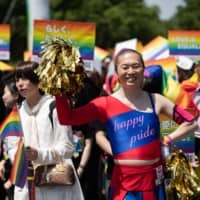 Observers were shocked when he came out of the Tokyo Detention House alongside a phalanx of guards as well as other men wearing similar caps, surgical masks and construction worker outfits. Takano said the legal team’s first task after securing Ghosn’s bail was to bring him to his residence without delay so that he could be reunited with his family and regain some sense of normalcy, albeit under strict conditions. Keiko Ishikawa, a crisis communications consultant, echoed the lawyer, saying that the legal team’s effort backfired. 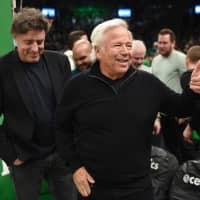 “I think the tragedy was that the lawyer’s desire to protect him came across as if he might be hiding something,” she said. 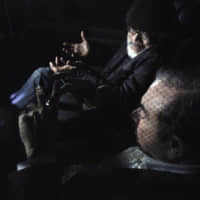 Ghosn wouldn’t have accepted the disguise under ordinary circumstance, but his judgement may have been clouded and he may have thought that it would be in his best interest to obey the lawyer’s instruction since he was not familiar with Japanese customs, Ishikawa added. Some critics on social media have said that, if he’s really innocent, he should not have had to disguise himself and should have emerged from the center proudly. Ghosn is accused of falsifying his remuneration for years. He was later slapped with more charges including aggravated breach of trust for the alleged transfer of private investment losses to Nissan during the global financial crisis of 2008. 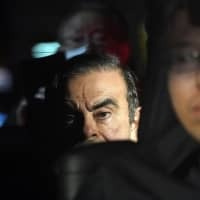 He denies wrongdoing and argues the charges stem from a conspiracy within Nissan to block his plan to merge with the carmaker Renault, its largest shareholder. The detention has been met with international criticism. 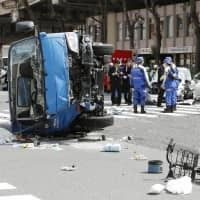 Critics have dubbed the Japanese legal system as one of “hostage justice,” in which suspects are detained for long periods in an effort to coerce a confession and interrogations are often conducted without an attorney present. Since Ghosn’s release on bail, the Japanese media has been fixated on his failed disguise. He slipped into a silver van with the guards and drove away, with watchers assuming it was one of the staff going home. A few lucky — or possibly tipped off — media outlets caught his exit and followed the vehicle. Ghosn is now with his family at the residence where he’ll stay, effectively under house arrest with limited access to information and people, Takano wrote in his post. 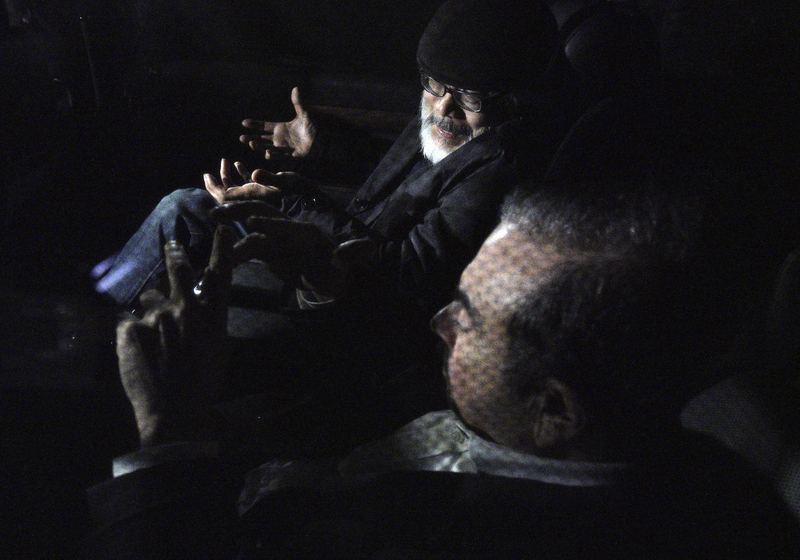 The strict bail conditions that Ghosn agreed to — such as camera monitoring and restricted mobile phone and internet access — may have been the deciding factor in his release, legal experts said. The terms are similar to another case Takano worked on, said Tokyo-based defense lawyer Seihou Chou, who used to work for Takano’s office and outlined his thoughts in a blog post. Fuji TV reenacted Ghosn’s release by bringing in the same type of minivan to the studio and dressing a man in an outfit resembling Ghosn’s. NHK tracked down a store that sells a similar type of construction work outfit and showed Ghosn taking a walk at a park in Tokyo on Friday, but he did not speak to the media. Ghosn’s legal team has said it would be willing to hold a news conference, but one hasn’t been scheduled yet. Ishikawa speculated that Ghosn may not be in the best condition to withstand stress at this point. On his blog post, Takano called on the media to respect his privacy.